OK, don’t forget: we’ve got a fun little contest for May, and one great prize to tempt you into playing. The only limitation is that the person (male or female) needs to be currently working (so no Richard Burton or even say Jack Nicholson [who hasn’t make a film in the last six years]). 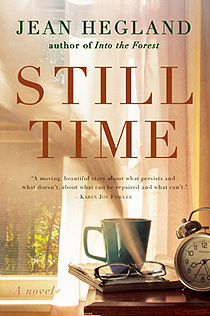 an autographed hardbound copy of Still Time! Be aware, though, that our deadline is Wednesday, May 25 (that’s less than a week away!). I’ll pick the winner on that day, and then contact the winner so I can record her/him read the pick and reason on the air for our end-of-month and end-of-play podcast (which will, of course, include my own Lear cast and concept). So consider this one reminder… to pick your Lear, and win an autographed copy of a great book. Previous PostPrevious King Lear: mad or something else?